It’s one of those things you just can’t avoid. But, when it comes to taxes, I have to admit I’m far from an expert. I usually procrastinate and then spend hours getting my books in order for an accountant to make sense of. Then, I let them do their magic and blindly accept whatever they deal me and happily pay the bill. Up until now, that is. I’ve been thinking more about my business and I just can’t continue passively accepting my accountants services without understanding what’s going on. In fact, I recently read through Sandra Brooks’ 2010 Domain Tax Guide and I question whether my accountant really understands the domain industry. The book gave me plenty to consider. What makes Sandra the expert? Well, she’s currently the VP of Finance at SA Recycling. She’s a CPA and graduated as the Most Outstanding Student of the School of Business and Economics at California State University. She worked at Ernst & Young and also managed her own tax and accounting practice for nine years, consulting for individual and corporate clients in industries such as advertising, e-commerce, entertainment, and staffing. Are you an investor or a business? – There is a difference. The e-book goes into other things such as additional business expenses and home office deduction information and there are links to more tax forms than I’m willing to look at. This is one e-book that is actually worth reading and well worth the $79 price in my opinion. 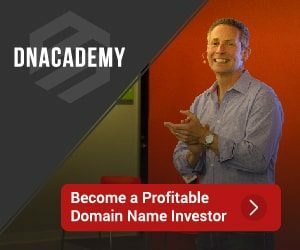 If want to make the most of your business (and yes, if you are buy and selling or developing domains, you have a business) this book is essential for you and your accountant or tax adviser. I’m adding this one as an affiliate link (staying true to my promise of maintaining transparency). I definitely endorse this book and the value it brings.